Home » Bad Faith » Punitive damages for denied LTD benefits upheld on appeal. Punitive damages for denied LTD benefits upheld on appeal. On March 22, 2013, an Ontario judge ordered an insurer to pay $100,000 in aggravated damages and $200,000 in punitive damages after finding that the insurer had wrongfully denied its insured long-term disability benefits. In Fernandes v. Penncorp, 2013 ONSC 1637, the Honourable Justice Peter Hambly ordered Penncord Life Insurance Company to pay the damages to an injured employee. The facts of the case are rather straightforward. 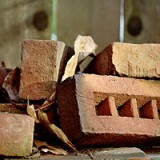 The plaintiff was a bricklayer who had his own company. That company was profitable and had employees. When the plaintiff got injured and was unable to work the company ceased operations. Avelino worked as a bricklayer 10 to 12 hours per day for 6 to 7 days per week. The work was very heavy work. It involved erecting and dismantling scaffolding, lifting heavy planks into place on the scaffolding where a bricklayer would stand to lay bricks against a wall. From time to time during a job and at the end of a job the planks would need to be removed and the scaffolding dismantled. The scaffolding would then need to be erected again and planks put in place. It required the mixing of cement, lifting bricks and blocks and driving a fork lift. The work required physical strength and endurance to stand on the planks on the scaffold while laying bricks and blocks against a wall for hours at a time. Avelino loved his work. He was very good at it. He made as much money as he needed. He never felt the need for more money. He and Tracy had a good life. He came from a culture where the man provides. Now that he does not have money, he is dependent on Tracy’s income. He is embarrassed in his relationship with Tracy. Avelino did not pay into government employment insurance. He also did not pay into the provincial workers’ compensation plan. He, therefore, is not entitled to claim employment insurance or workers’ compensation. A salesperson from Penncorp came to his workplace. To protect himself from being disabled from working, he purchased from her in July 2002 disability insurance with Penncorp. The premiums are $908.50 semi-annually. He has continued to pay the premiums to the present. The policy has no elimination period. It provides for monthly total disability payments of $3,000. Penncorp provides financial security by specializing in simplified personal disability insurance and financial solutions that fit the unique needs of Canada’s self-employed, skilled tradespeople and other individuals who do not have easy access to traditional insurance and financial products. In 2010, the Superintendent of Insurance reported that Penncorp collected premiums on policies of insurance of $24,680,000, had total assets of $397,228,000, an excess of assets over liabilities of $102,507 and a net income of $12,330,000. As the decision continues, Mr. Fernandes suffered a number of falls and although he tried to return to work felt that he was unable. The insurer placed him under surveillance and disagreed. To put the matter another way, an owner-manager is totally disabled from performing his work as such when he is unable to perform substantially all of the duties of that position. Avelino chose not to pay into Workers’ Compensation or to Employment Insurance. Instead he purchased disability insurance from Penncorp. He did so to give himself peace of mind that if he was unable to work as a result of his being injured he would receive a monthly income of $3,000 per month. Penncorp did not pay him for six years from August 2005 until September 2011 for his inability to work at his occupation of bricklaying. They finally conceded in September 2011 that he was entitled to be paid for two years under the policy, by reason of his inability to do his own occupation. The failure of Penncorp to pay Avelino what it contracted to pay him, both from being disabled from doing bricklaying and from doing any other occupation for which he is reasonably suited by education, training and experience, has humiliated Avelino. It has made him dependent on Tracy financially. He was a proud, self-reliant man who always worked to the fullest extent possible. He has suffered great mental distress as a result of the failure of Penncopr to pay him what it contracted to pay him. I find that this would have been in the reasonable contemplation of the parties as the likely result of Penncorp’s failure to honour its obligations to Avelino under the contract of insurance when they entered into the contract. These three paragraphs are the totality of Justice Hambly’s reasons for awarding $300,000 in exceptional damages. The insurer appealed. On September 2, 2014, the Ontario Court of Appeal upheld the $200,000 award of punitive damages, but reduced the mental distress damages from $100,000 to $25,000. The Ontario Court of Appeal reasons are found at: Fernandes v. Penncorp Life Insurance Company,, 2014 ONCA 615.